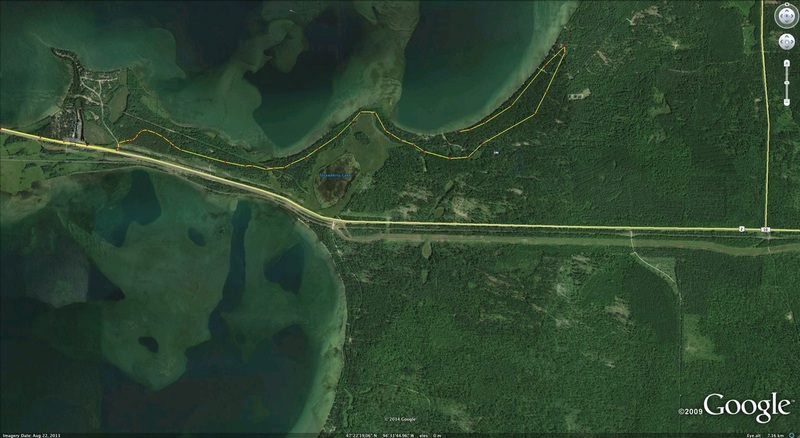 The 14 mile canoe leg will start at the MN DOT Wayside Rest Area on US 2 West on the southwest shore of Cass Lake at 7:00 AM on June 8, 2019. At the start you will head southeast to the channel on Pike Bay where you will paddle the most protected shore (based on predicted wind of the day). 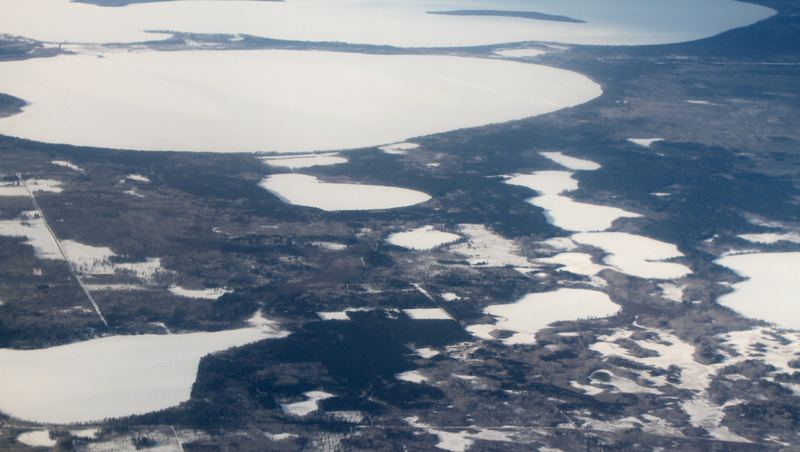 Participants MUST WEAR LIFE JACKETS until the end of Pike Bay. At Omega, you will switch from paddling to peddling. 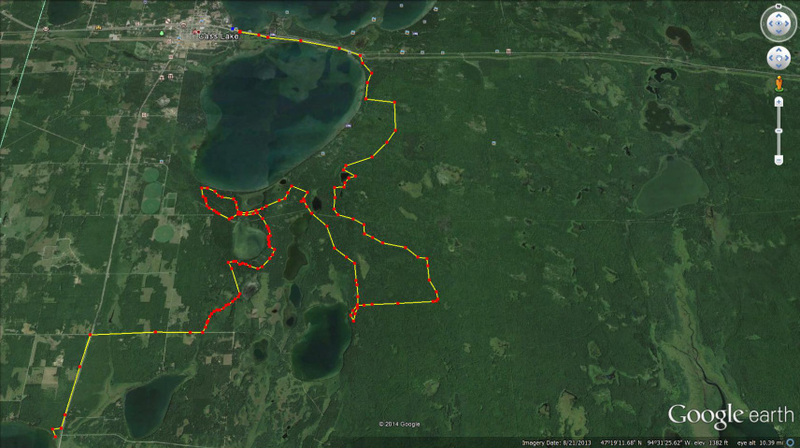 The 29-mile mountain bike route will follow forest roads and trails through the Ten Section area of old pine forest and the Pike Bay Experimental Forest. The Mi-Ge-Zi Bike Trail will bring you the last few miles back to the town of Cass Lake. NOTE: The map below was the final course for 2014. Any changes will likely be geared toward benefitting those who have wide tires. 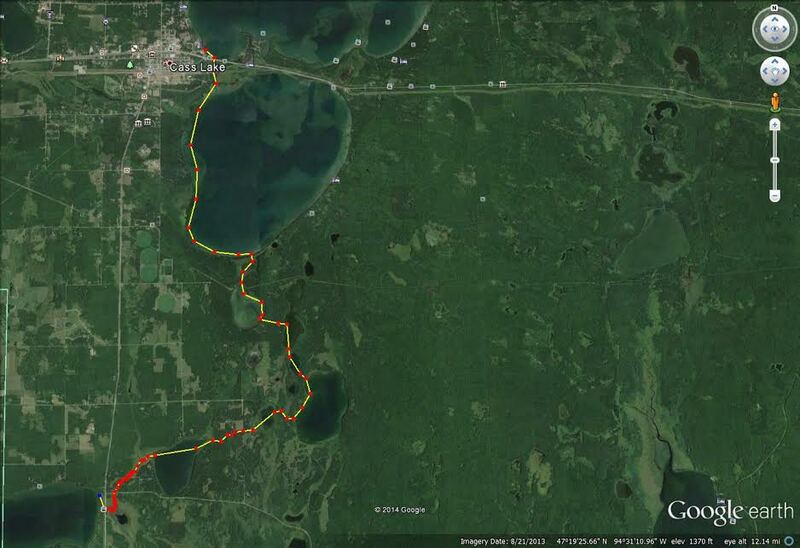 The running leg will follow the southeast shoreline of Cass Lake and the north edge of pristine Strawberry Lake. The run has been closer to 5 miles the last couple years and no one seems to complain! NOTE: Map below is for 2014. Small changes may be in store for 2019. Race course from the air. Makes it look easy!